The Axo Light Fairy lamps have a chrome aluminium frame and glass diffuser distinguished by a multitude of facets, to create enchanting competitions of light, even when the lamp is turned off. Fairy is available in several typologies: circular or linear, in different height or width, with multiple lights. 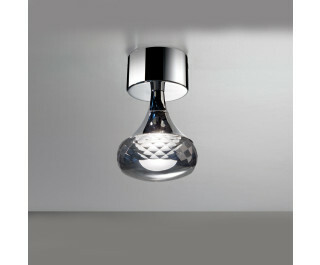 Glass diffusers also available in amber and smoky grey. The collection has LED light sources.